Follow us on Instagram @KokopelliPackraft to get the latest photos of Kokopelli Packraft in action. A cool crisp morning paddle as the sun peeks over the ridge through the evergreens. A beautiful Fall morning as the colors begin to change in the St. Regis Canoe area in the Adirondacks. After a day of epic skiing, @JeffCricco and crew traverse the valley floor to begin a packraft out via the Rio Grande, Las Lenas, Argentina. Beautiful changing colors in Autumn on the waters of the Adirondacks in New York. This snapshot was taken in early morning as the reflection of the sun created a vibrant orange glow off the changing leaves. 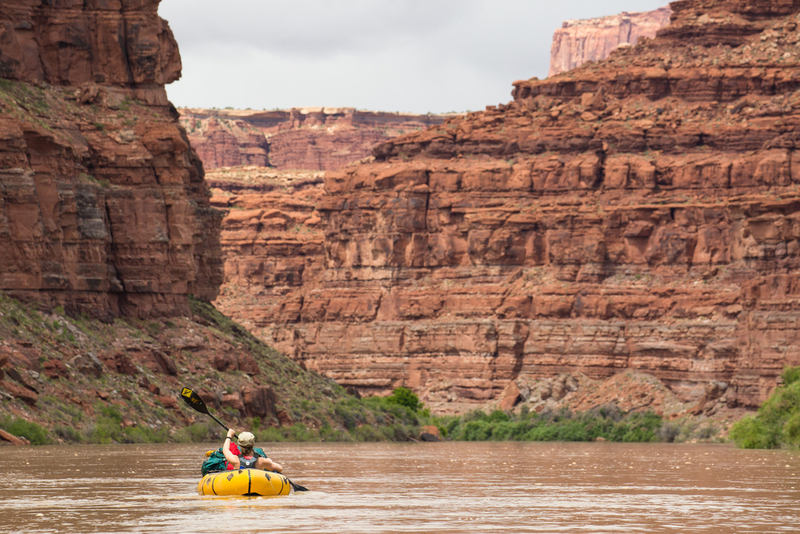 @AColoradoGal paddles among towering red rock cliff formations on the Colorado River. @BenBrochu fishing from his Kokopelli packraft. Athabasca crossing pond in the morning fog near the Athabasca River in Jasper National Park in Alberta. @BirchBlock packrafting down Havasu Creek in a Kokopelli packraft. This photo was taken in the Grand Canyon on a 28 day trip down the Colorado River. @PhotoJBartlett packrafting the Mistaya River in British Columbia. The Mistaya River runs through Banff National Park in British Columbia. @KalenThorien exploring the remote rainforest on the island of Kauai. Paddling along the Waileau River to gain access to Secret Falls. The sun breaks through the clouds onto @PhotoJBartlett packrafting on Waterfowl Lake. @KalenThorien overlooking the Maze District in Canyonlands National Park. In the distance you can see the distinct Doll House rock formations. A beautiful reflection of the cloudy sky on Waterfowl Lake. @AdamMcKibben snaps an early morning shot of the mist rising with Mt. Thielsen in the background peaking through. A crisp morning paddle as the sun peeks over the ridge creating a rising mist off the lake. A beautiful place to packraft in the St. Regis Canoe area in the Adirondacks.